A world-class regatta in its tenth season, Miami Sailing Week draws sailing aficionados to the waterfront in picturesque Coconut Grove. 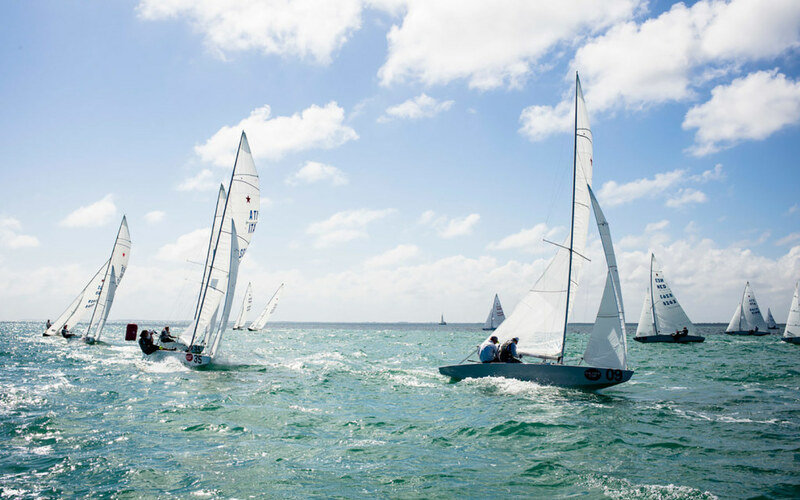 Taking place at Regatta Park, the festivities will include the opportunity for sailors with a variety of experience to compete in races on the clear blue waters of Biscayne Bay. This year, Miami Sailing Week is happening March 6 to 10, 2019. Every year more than 200 sailors from at least 20 countries compete in the event, some from as far away as Australia. The event kicks off with sailing related programs and activities on Monday, March 4 at the Coconut Grove Sailing Club and Regatta Park. Tuesday, March 6 is a free day. Then the competition starts to heat up on Wednesday, March 6 with registration, boat rigging and a competitors meeting that evening. Enjoy the races for both youth and adults Thursday, March 7 through Sunday, March 10, with social events following the competition each evening. The adults closing ceremony and award presentation is on Saturday, March 9 at 6 p.m. and the youth closing ceremony and award presentation is on Sunday, March 10 at 5 p.m. Its sure to be a week full of sun, wind and waves. The Miami Sailing Week Village at Regatta Park will have plenty of hospitality tents with food, cocktails and live music. Art and culture are also a major highlight of the week. Every year, the festival aims to integrate a cultural tie-in and to showcase the art of sailing through the lens of the worlds best photographers and artists. Throughout the years, organizers have worked with renowned photographers and artists like Cory Silken, Franco Pace, Onne van der Wal, Vicki DaSilva, George Krewson, Roberto Fiorentino and more. Located on the waterfront, Miami Sailing Week offers plenty of restaurants, boutiques and shops within walking distance. Nearby hotels include Residence Inn by Marriott Coconut Grove (host hotel; group code is Miami Sailing Week), The Ritz-Carlton Coconut Grove, Mayfair Hotel & Spa and more. Registration information is available at miamisailingweek.com and the invited competition classes for 2019 include the A-Cat, Lasers, 1420, C420, 29ers, 505, F16 and F18. Miami Sailing Week is hosted by STUDIOMILANO and sponsorship opportunities are available.